Assertiveness can be virtue. 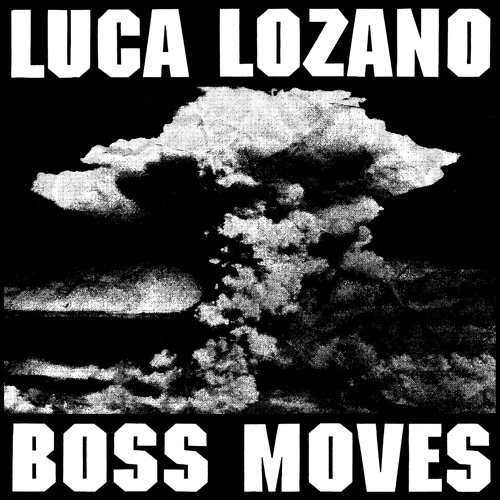 Hence, “Boss Moves” - Luca Lozano's debut for Running Back – is aptly titled. Generously spread over two vinyl plates, Lozano investigates the hybrid sound that once was embodied by groups like Future Sound of London, labels like Guerilla and DJs such as Sasha or Dave Angel. Blessed with the production of skills of today, the eyes of a tailor and the chemoreceptors of a perfumer, the Klasse Recordings and Grafiti Tapes man delivers nine tracks that do it all: tribal, trance, breakbeats, house, 303s, bleeps, rave, dubby deepness and pianos. Like a trip down the 3d-visual-kaleidoscopic-artwork* hole or a snake charmer without a flute. Intake as a whole, record it to your tape desk and feel like tuning into on a pirate station in '95. Happiness is just around the bend. *None of that can be found here. See explosive black-and-white sleeve for further reference.